Charting for Email Reports: In March we brought the ability to schedule email reports with tabular data to be sent to various people in your organization. This release adds the ability to email reports with charts. The feature is very flexible and allows you to customize how the data is charted, based on your needs and the target audience of the report. Dashboard Auto Refresh: Our dashboard has become a key tool for our clients’ NOC teams. One major limitation of it was that it lacked the ability to auto-refresh. We enhanced the dashboard to rely on AJAX to load the data on the background and auto refresh. Test Auto-suggest: One of the key goals of our user interface is to be as efficient as possible, while providing the most flexibility to the end-user. We enhanced the test selection widget to suggest tests as the user types. Unlike other auto-suggest widget, this feature allows the user to select multiple items from the list eliminating the need for extra typing and selecting. NSID Support for DNS monitoring: To ease troubleshooting of DNS errors and performance issues, we enhanced our DNS Tests to support the ability to capture Server ID by relying on NSID. We now support both hostname.bind and NSID. Enhanced the TimeFormat macro to create new a value based on references to a previously defined value. Ability to schedule tests to run less often. You can now have tests run every 2, 4, 6, 8, 12, and 24 hours. 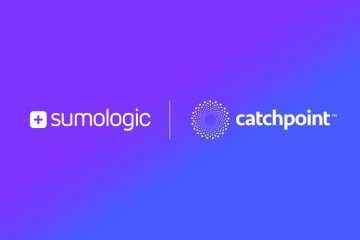 This summer is going to be hot at Catchpoint when some of the innovative features we are still working on are released.